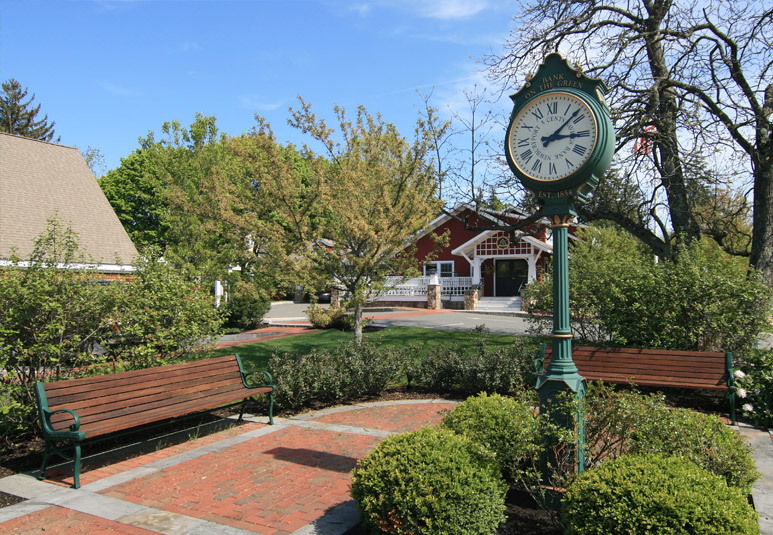 The challenge presented to TMS in this community bank project was to blend a commercial building into an historic residential neighborhood surrounding a 17th century New England village green. The bank president and the Board of Directors fully understood the design challenge and readily endorsed a proposal by the architectural firm to house the new banking facility in a building harmonious in scale and character to many of the homes in the immediate residential area. 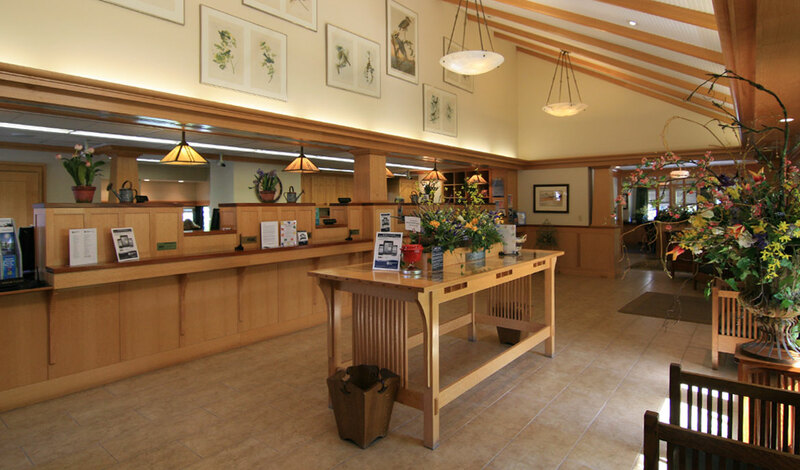 The architects chose to draw their inspiration from a turn-of-the-century “American Bungalow” style home, which had to be razed for the construction of the new bank structure. 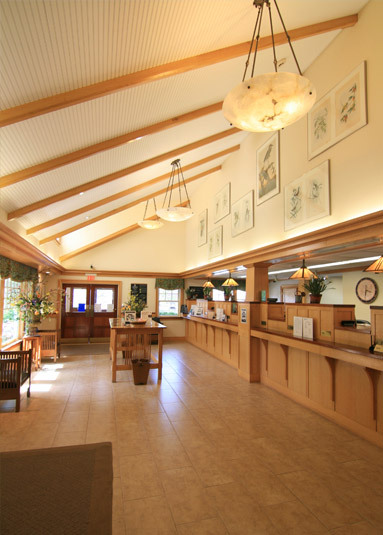 Stone piers topped by copper lanterns, shaped rafter tails and corner brackets all reinforce the bungalow style. 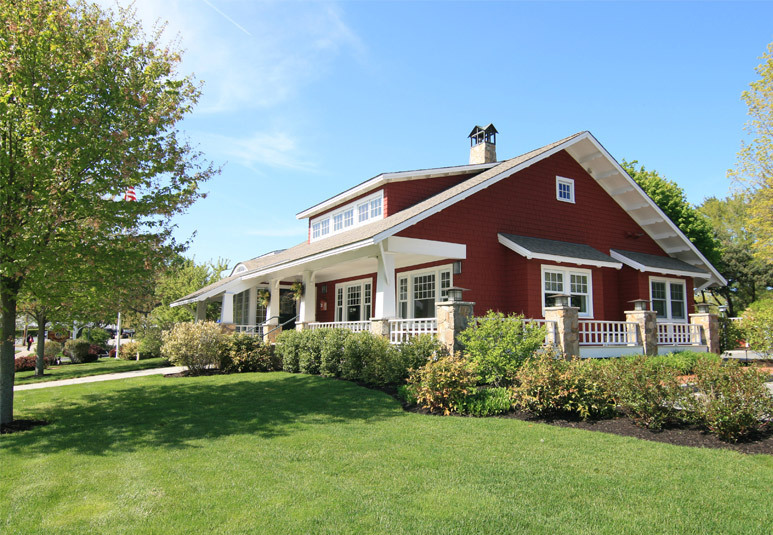 The front roofline is punctuated by the gentle sweep of an eyebrow window and a comfortable employee kitchen/lounge area occupies the dormer space. As part of the design, it was decided to break up the parking into smaller parking areas divided by generously landscaped gardens. The impact of the building is decidedly residential in feeling while being able to park eighteen cars. 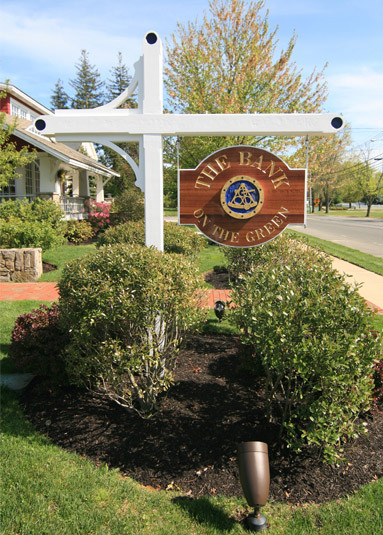 The bank’s continued commitment to the community is evident in the creation of a small brick and bluestone pocket park that is located directly across from the Town Hall. The structure has become a landmark for both the bank and town green.